Our chiropractors employ a wide range of proven techniques for each individual case. Below, you’ll find a brief explanation of the popular chiropractic techniques we use at our clinic. We provide traditional chiropractic adjustments to help your body in the healing process and to promote wellbeing. Interferential current therapy involves the stimulation of muscles in a way similar to a normal muscle contraction to reduce pain and muscle spasm. Extracorporeal Shock Wave Therapy is a non-invasive procedure for the treatment of acute and chronic pain of the musculoskeletal system. This form of therapy involves focusing acoustic (sound) shockwaves in the target tissue, at the point where the pain is originating from. The shock waves cause an improved local blood circulation and metabolism, stimulating a healing response. Low level laser therapy is a safe, non-invasive, effective therapy to help tissues heal on the cellular level. It involves the application of red and near infra-red light on the injured area to improve tissue repair, resolve inflammation, and give relief for both acute and chronic pain. 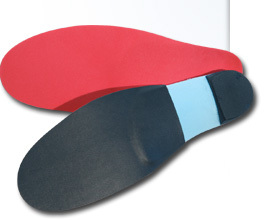 We provide orthotic assessment and casting to suit your needs. We provide instrument-assisted as well as manual soft tissue therapy to help relieve muscle tension and spasm. Far infrared heat therapy is a safe, non-invaseive therapy that involves the application of the heat lamp near the injured area to promote circulation and oxygenation to the tissues.